We aim to provide a complete service for your drainage system, Drainworx offer total drain maintenance solutions individually tailored to suit your sites needs. As part of our aim to provide a complete service for your drainage system, Drainworx offer total drain maintenance solutions individually tailored to suit your sites needs. Our team of highly trained and experienced engineers are dedicated to finding the best for your system. Whether it’s the elimination of existing problems or developing your drainage system to give optimum performance, our people are ready to help. It’s the people at Drainworx Limited which makes the difference! Drainworx Limited and their solution partners have many years of experience in the field and access to the latest technologies, from regular maintenance to emergency call outs we offer customised drain cleaning solutions. At Drainworx we are proud of the fact that we’ve seen it all! No job is to big or too small for Drainworx. 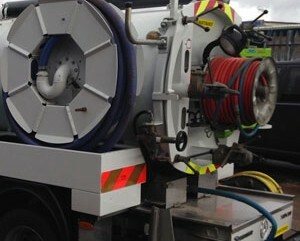 Whether it’s locating, inspecting, cleaning or unblocking sewers and drains of all types to the removal of specialist waste or other bespoke works Drainworx have the solution. If you think your problem is too difficult to handle, talk to us today. It is not by chance that Drainworx Limited is a successful Drain Maintenance Service provider and preferred supplier to many well known companies in industry and commerce. Property & Facilities Managers, Estate Managers and Maintenance Managers around the country have come to rely on our services and attention to detail. We at Drainworx are justly proud of that. The growth of our business is less important to us than the service we can provide our customers. It’s not every day you hear that, especially in today’s economic climate! But it’s true. We sincerely believe that by offering excellent service to our steadily growing client base we deliver what’s best for you. All of our customers have different needs and Drainworx recognise that. Call us today on 01707 276952 or 07572 444265 to discuss your needs; we are confident we can help. Remember, there is no obligation and we think you’ll be pleasantly surprised by our care, interest and approach. The satisfaction of our customers is our priority. As part of our aim to provide drain cleaning solutions for your drainage system Drainworx engineers will assist our clients by co-ordinating a range of professional specialist services to achieve set goals. Here are some of our most popular services, you might just find the solution to an existing problem. For major blockages and maintenance of sewerage and drainage. This method uses a High Pressure Water jetting machine fitted with forward and reverse facing nozzles to propel the hose through the drain. The nozzle cleans, cuts and clears deposits or obstructions. Debris such as fat, grease scale and silt are cleaned off the inside of the pipework, this is the most effective method of restoring the pipework to full bore decreasing the risk of blockages. Blockages in pipework caused by scale and heavy deposits of grease or other substrates can be cleared using an Electro Mechanical cleaner. This flexible cleaning method uses cables with various type of cutting heads to clean pipework of various sizes and materials quickly restoring full flow to the system. It is an effective alternative to High Pressure Water Jetting in locations where the use of High Pressure Water could be a hazard. We offer a Preventative Maintenance Cleaning schedule to meet a sites specific need. Our Scheduled Preventative Maintenance Cleans will keep drains, grease traps and pump stations in full flowing order to stop the chance of blockages. Periodically the designated areas will be cleaned with High Pressure Water Jetting units and Electro-Mechanical cleaners. Our engineers will check for full flowing order once the work has been completed. Suction tankers are used to remove solid and semi solid waste from manholes, grease traps, gullies, pump sumps and petrol interceptors. Once removed all waste is taken off site and disposed of at specialist waste treatment sites. All waste removed is covered by Environmental Agency Transfer and Disposal Certificates. On the very rare occasion that a drainage system has a major problem or possible collapsed pipe, using our specialist CCTV Inspection service we can inspect pipework for possible defects or damages. All work carried out comes complete with a written report of the survey and video recording of the pipework inspected. From look and see inspection to full site surveys our CCTV Service is suitable for any investigation need. Designed to assist our clients with cleaning those hard to reach places. 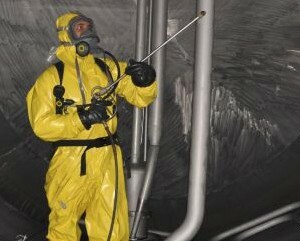 Using either manual or automated cleaning methods our engineers can safely clean any void or tank. Manual tank cleaning requires specialist suits and breathing apparatus to enter into the tank to clean deposits or product residues. With automated cleaning, the use of pressure washers and High Pressure Water Jetting equipment we can clean a void or tank without the need of entry. Drainworx engineers are specialist trained in confined space working and are able to carry out inspection and cleaning works in areas where man-entry is unavoidable. We have a full complement of trained personnel on standby for large diameter culvert, sewer and tunnel inspections. Drainworx engineers are trained and experienced in the use of working with Escape and Full Working Breathing Apparatus. 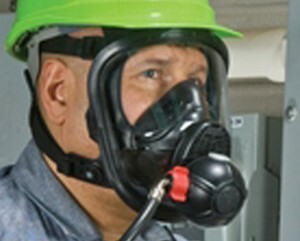 Whether safe entry into Confined Spaces or areas which that have a toxic or oxygen deficient environment. Drainworx engineers are able to carry out any works in a controlled and safe manner. Over the years our engineers have been involved in many various projects that would generally fall outside the normal scope of drain cleaning. Our experience and knowledge base is too extensive to list, but here are a few projects we have assisted clients in delivering: Pump Station Installation, Special Waste Disposal and Pest Control.